Telcon Diamond manufactures all aerospace tools solutions for the machining of composite materials. One of the most common products in airframe assembly lines is diamond integral countersinks. These are used for creating the chamfer around the pre-drilled hole, mainly in external airplane parts where riveting connection is utilized. Diamond countersinks are in use where composite materials are machined and high wear resistance cutting edge is required. 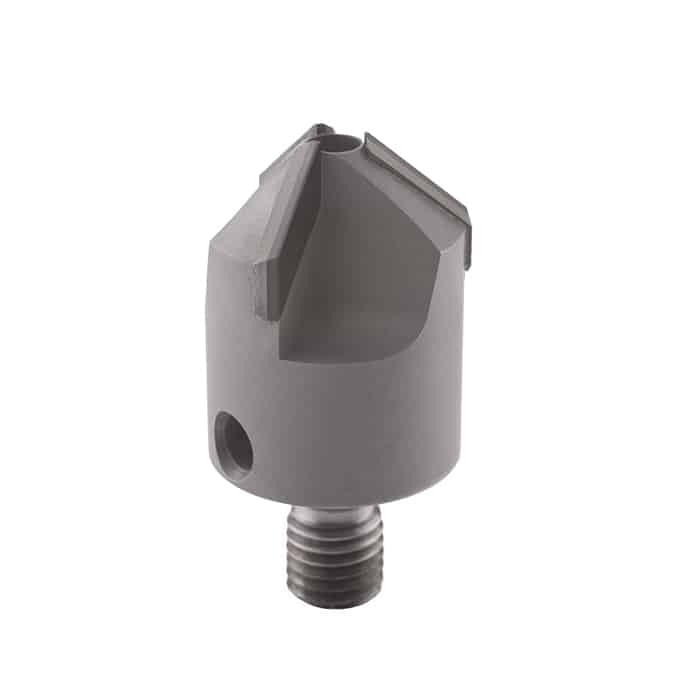 The integral pilot guides the countersink to the center of the hole, preventing chatter and run out. All of the PCD Integral Countersinks are available in standard sizes with two or three flutes and cutting angles of 100deg and 130deg. Additional dimensions are available on request. All the PCD countersinks can be reconditioned multiple times. Telcon Diamond manufactures all Diamond cutting tools solutions for the machining of composite materials. 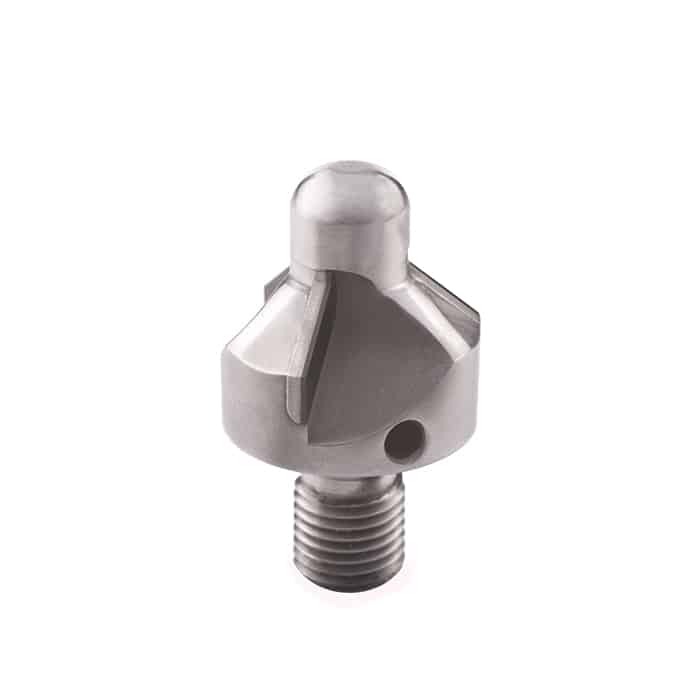 One of the most common products in airframe assembly lines is diamond interchangeable countersinks, which are in use for creating the chamfer around the pre-drilled hole, mainly in external airplane parts where riveting connection is utilized. Diamond countersinks are in use where composite materials are machined and high wear resistance cutting edge is required. 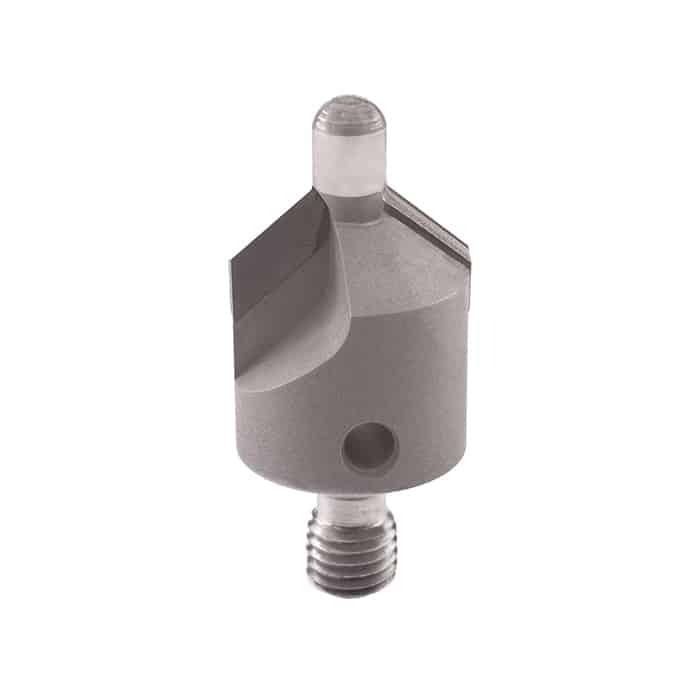 The Interchangeable pilot countersink is ideal for the use of cutting the same diameter chamfer with the same countersink but with different diameter pilots. Damaged pilots can be replaced at a fraction of the cost with significant savings. All of the PCD Interchangeable Countersinks are available in standard sizes with two or three flutes and cutting angles of 100deg and 130deg. Additional dimensions are available on request. All the PCD countersinks can be reconditioned multiple times. Telcon Diamond manufactures all aerospace tools solutions for machining of airplane parts. Aluminum is the most common material in use in external airplane parts and as such, requires countersinking for riveting connection. Telcon’s Carbide tipped countersinks, Integral and Interchangeable are an excellent, cost effective solution for such application. 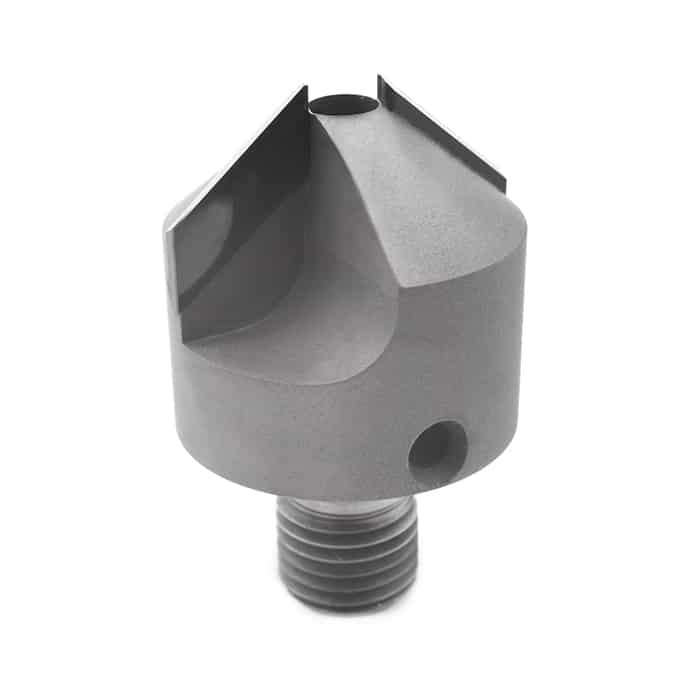 All of the Carbide tipped Countersinks are available in standard sizes with two or three flutes and cutting angles of 100deg and 130deg. Additional dimensions are available on request.